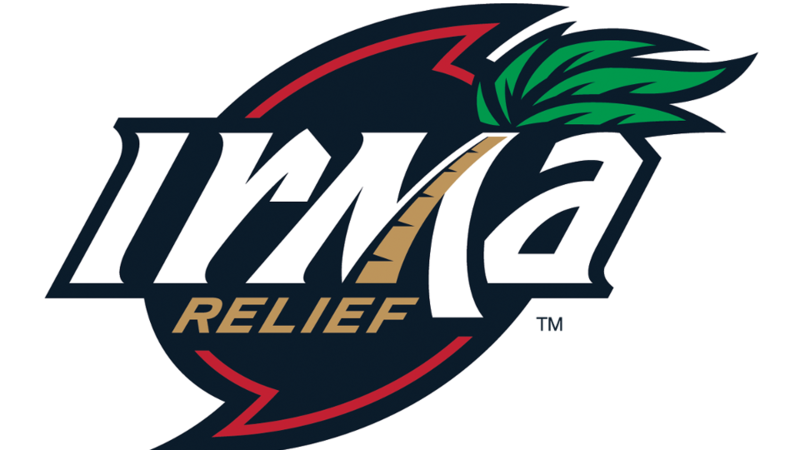 FORT MYERS, Fla. (September 13, 2017) - The Fort Myers Miracle, Advanced-A affiliate of the Minnesota Twins, announce initial Hurricane Irma relief efforts aimed at helping Lee, Collier and neighboring counties. Ownership will donate money, and the staff will volunteer their time within the community. The team also announces a new logo symbolizing aid to Southwest Florida. "We are grateful that Hurricane Irma did not have the terrible impacts that were initially forecast," stated Miracle principal owner Jason Hochberg. "However, many people are suffering from the storm. The Miracle will do their part to help relieve some of the suffering, and we cannot wait to see everyone back at the ballpark in 2018 for spring training and Miracle season. I also wanted to especially thank Brandiose, Jason and Casey, for donating their time to create the Hurricane Irma Relief logo." The Miracle are also pleased to announce a new "Hurricane Irma Relief" logo designed by Brandiose (https://www.brandiose.com). Brandiose generously donated their time and labor to create the logo. The team expects to produce shirts and hats with the logo during the offseason with all proceeds of these items going to those impacted by Hurricane Irma. Finally, the Miracle will be presenting new related events at the ballpark during the upcoming 2018 season to further the relief efforts. They will be designated by the logo as a "Hurricane Irma Relief" event with proceeds from each event benefitting those affected by Hurricane Irma. If you or your company would like to aid in the Miracle relief effort, please e-mail Executive Vice President / Chief Operating Officer Ben Hemmen at Ben@miraclebaseball.com.